Someone claiming to own a Nissan GT-R has proclaimed on the North American GT-R Owners Club forums (NAGTROC) that his GT-R's transmission has broken after multiple uses of the vehicle's launch control function. The owner says that when the vehicle was then brought to the Nissan service center, where he was told the destroyed transmission would not be covered under warranty due to the car being driven too often with the Vehicle Dynamic Control (VDC) shut off. Another forum member clarifies that "you have to turn off VDC to activate LC, and you have to sign a paper saying your warranty is voided if you turn of VDC, and while VDC is off, you cause damage. It is clearly stated in the manual/warranty, as well as is put into writing and you have to sign, when you pick up the car." Below the jump, the personal account, in the owner's words, from a thread titled "do not launch your gtr or take the vdc off, time to bend over guys its gonna hurt." I was driving my gtr two weeks ago and I heard a loud noise coming from the rear. I turned immediately had my gtr towed to crown nissan st. petersburg fl. They didn't touch my car only called some techs from tennessee to look at the car and record the noise, 4 days later two guys from japan to download some info from the car then left. Then I get a call from the dealer to tell me the news, and they told me that the car was driven without vdc too much and nissan will not warranty the transmission which they said was destroyed, I asked them how much to fix it they told me 20k, no freaking way I will pay 20k on top of what i just paid for the car. 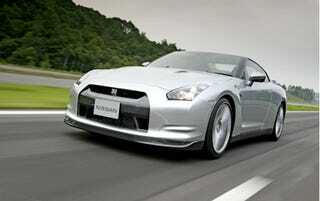 I called the gtr number and also talked to nissan consumer affairs got nowhere, now the car is sitting at the dealer. I know we shouldn't launch the car but why own it if you cant use this function, don't sell a car that goes 0-60 in 3.4 sec if the only way you can achieve this speed is to void the warranty , false advertising. Here is the bad news people were fearing it has happened to me and Nissan has told me there are already three people in my shoes, if you are one of these people email me, we have got to get together on this. Just think if any of you guys have taken the vdc off just a few times you have already voided your warranty, good luck what a joke nissan.